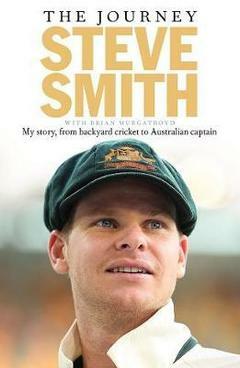 The fascinating and revealing inside account of Steve Smith's journey from cricket-mad kid to Australian Captain. In this fascinating inside account, Steve takes us through his cricketing journey from the early days of backyard cricket and net practice with his dad, to the highs and lows of Test cricket as Australian captain. Whether it's recounting the key moments in his career that saw him progress from talented young player to the pinnacle of his sport, or taking us step-by-step through his most memorable Test century, or giving us the real inside account of what it's like to play through the great series losses and wins of recent years, or giving us a unique examination of his technique, The Journey is a fascinating and revealing insight into one of the world's greatest cricketers. Steve Smith was born in 1989. In 2010 he made his Test debut as a legspinner who batted at No.8; by the time he was named Australia's captain in 2015 he was the No.1 Test batsman in the world and no more than an occasional bowler. He currently captain's Australia across all three formats of the game.